Two Canadian players featured this week, Evan Olmstead came off the bench early for Newcastle to play 40+ minutes in the match against Leicester. Both teams near the bottom of the standings and needing the win. Tyler Ardron went the full 80 for the Chiefs in their battle against the Blues. Also Crusaders v Highlanders in an all NZ fixture. There are currently 500+ videos online starting with the World Cup warm up games (Wales v Ireland Aug 8, 2015), all the 2015 World Cup matches and then professional matches from Super Rugby and European competitions, plus the summer and fall tests. Access to the Members Area is $20 which covers membership for a year. We'll continue to add popular match videos featuring Canadian players when they are available and games from top level competitions. NOTE: This is not a streaming service, the files are meant to be downloaded to your computer to watch in full. 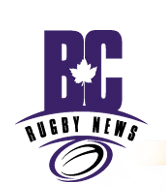 Payment can be made through the Donation button which accepts PayPal and Credit Cards or through e-transfer to editor@bcrugbynews.com (make the security answer rugby). IMPORTANT: If you pay by e-transfer you must send us your email address so we can send you the password. If you use PayPal then the email address is automatically included in our notification.